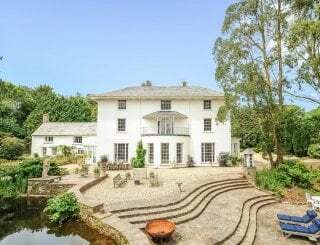 Barton Granary and Brimbles, Poughill, Crediton, Devon, sleeps 10-20 in 10 bedrooms. 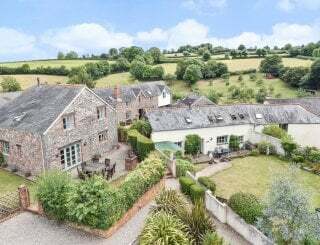 Situated on the edge of the small hamlet of Poughill, in the heart of the tourist-free mid Devon countryside, the Barton is a small family run farm. 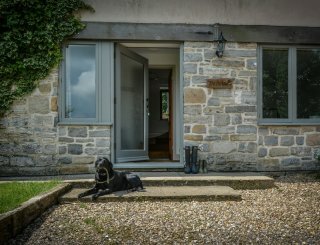 Our two exceptionally spacious cottages, The Barton Granary and Brimbles, are both converted from Grade II Listed barns. They are comfortably furnished and well-equipped and particularly suitable for larger families and groups. Each cottage sleeps 10, plus up to 2 babies (under 24 mths) occupying cots. We also have a Shepherd's hut (Desdemona) available on a nightly basis which sleeps 2 adults in a cosy double bed (children are not permitted). 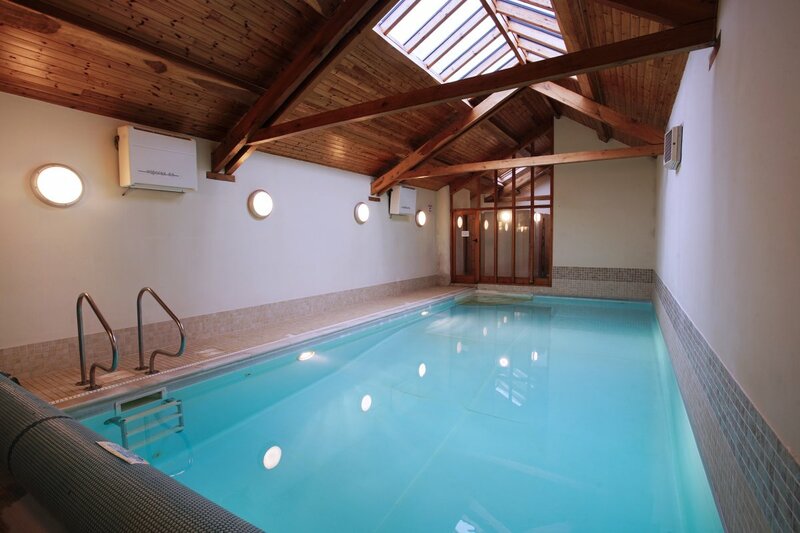 We are able to offer the added attraction of a small indoor heated swimming pool which is available all year round, together with a fenced play area suitable for young children. There is also an outdoor kitchen and dining area (The Pigshed) which has covered dining space for 22 guests and is available from Easter to the end of October. There's also a barbecue and fire pit, the perfect place to spend an evening. 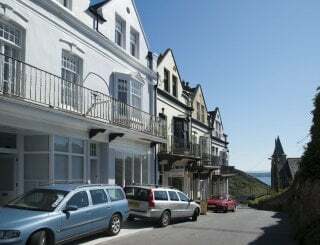 Poughill makes an ideal base for exploring Devon, halfway between Exmoor and Dartmoor and halfway between the coasts. Golf, fishing, shooting and riding are all within easy reach and several National Trust properties and other family-friendly tourist attractions are nearby. There is an excellent gastro pub in the next village (The Ring of Bells, Cheriton Fitzpaine) and we can also recommend alternative places to eat and drink, all within easy reach. We can provide concierge, housekeeping and catering services if required, perfect for a celebration or hen/stag party. Contact us for a quotation. Prices quoted are for the rental of both properties - if you are interested in renting just one, please get in touch. Regrettably, as a result of difficulties with the availability of housekeeping staff, we are only able to offer a Monday or Friday changeover day both for short and 7 night breaks. However, we can be flexible during the low season - contact us for details. Each cottage has a large well equipped kitchen with electric hob, cooker, microwave, fridge, freezer, coffee pod machine. There are large tables in the kitchen of each property. We can also arrange a table and seating to seat 24 for meals in either property. The sitting rooms in each cottage are exceptionally spacious with large sofas and digital TVs. Each cottage has 2 televisions with Freeview, and wireless bluetooth radios and speakers. Heating is fully inclusive via our Bio-Mass boiler. There are wood burners in the sitting room of each cottage. Each cottage has 5 bedrooms sleeping up to 10 guests (2 doubles, 2 kings, 5 twin and 1 bunk bed room). Desdemona sleeps 2 adults. Linen, bathtowels, bathrobes inclusive (not including cot linen, towels for babies and bathrobes for under 16s). Pool towels on request. Brimbles - 2 en suite shower rooms, 2 family bathrooms. The Granary - 2 family bathrooms 1 additional WC. Desdemona - 1 shower room in the pig shed. The properties are not suitable for guests with severe mobility difficulties. However, both properties have ground floor bedrooms. Up to 4 cots and 4 highchairs available. Baby sitting by prior arrangement (price on application). There is an enclosed children's play area and each cottage has a range of children's toys and books. DVDs and outdoor toys are also available. 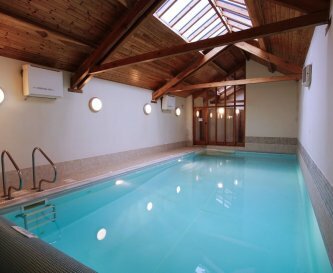 Indoor heated swimming pool (9.5 x 4.1 m) available daily from 10.00 am to 7.00 pm. Parking available for up to 8 vehicles (more by arrangement) Secure storage available for bikes/surfboards. 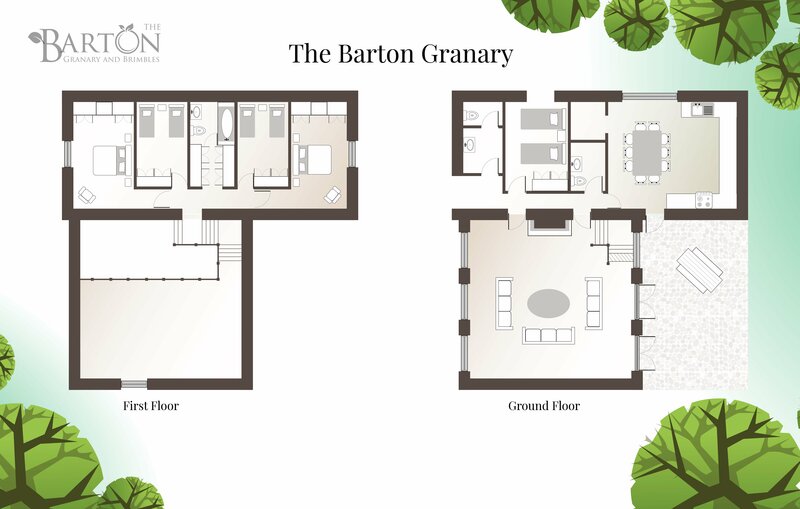 The Barton Granary & Brimbles is a No Smoking property, this applies to the pool, the play area, and farm as well as the interior of the cottages. We are unable to accept pets with the exception of assistance dogs. 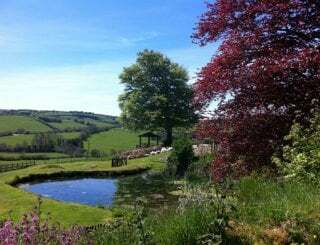 Poughill is a small hamlet in the heart of the mid-Devon countryside, approximately 35 minutes drive from Junction 27 of the M5, 35 minutes drive from Exeter and 15 minutes drive to Crediton. Farm shop outside Cheriton Fitzpaine (2.5 miles). The Ring of Bells, Cheriton Fitzpaine (1.5 miles) serving excellent bistro style food and open for lunch. Closed Sunday night and Monday. Many restaurants in Crediton - 6 miles. Prices quoted are for both cottages when booked together. Changeover day Friday or Monday. 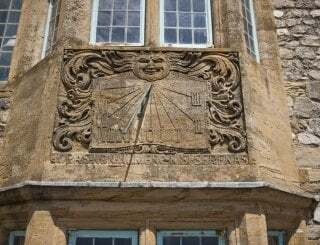 Arrival is after 4pm, departure is by 10am unless otherwise agreed. Refundable security/cleaning deposit applicable to all bookings. Bookings are subject to our Terms and Conditions of Booking and Rental. Tiverton Parkway - 18 miles. There is no regular bus service to the village of Poughill. Exeter Airport - 25 miles.